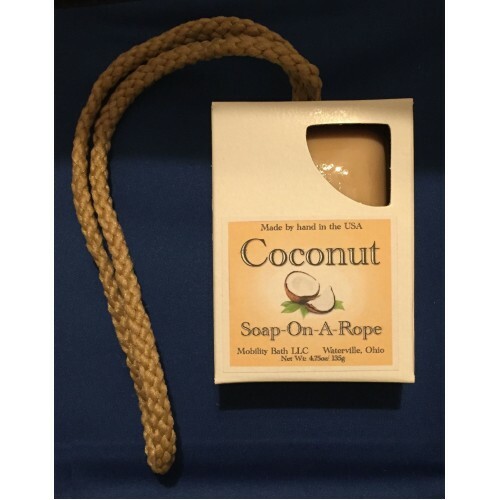 If you like the gentle fragrance of coconut, you'll love our new Coconut Soap-On-A-Rope. Unwrap a bar, place it in the shower and imagine yourself on a tropical island in the South Pacific! This 4.75 ounce exotic soap-on-a-rope is made with saponified coconut oil, rice milk, honey & essential oils. 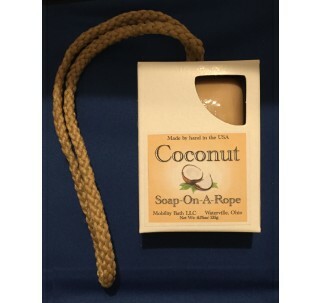 Hang this soap-on-a-rope Bali high in your shower! Made by hand in Wisconsin exclusively for Mobility Bath!